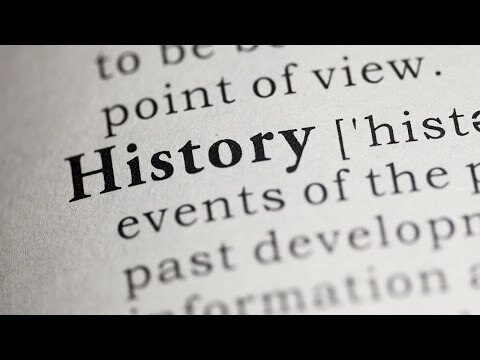 What is History ? The study of past events, particularly in human affairs. 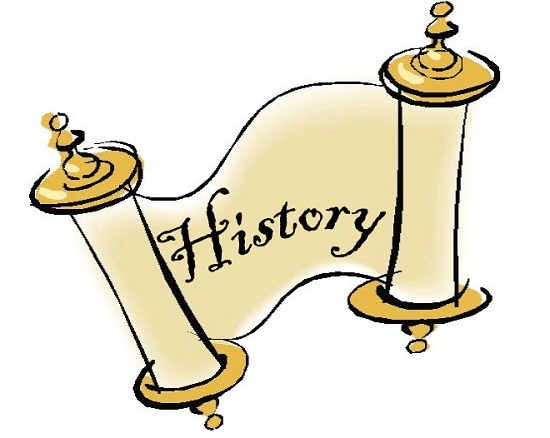 What do you believe ‘Your History’ is? Past events? Is it where and when you was born and what you did for a living? History is handed down through speech. This blog is not about changing the country or community you live in, it is about your personal history. This blog is not about being infamous or famous, it is about your own legacy. Do you know the history behind your house or street name? Do you know the history you make everyday? What will your friends, family and community say about you, years from now? How are you making history today? Do you realize that everything you do has an impact on the history you are making. We tend to think that it is the huge life changes we make in our lives, that will leave a mark or make our history. Like a house move, a move to a different country or marriage, maybe having a child . But are you aware that every word you outer is leaving a permanent mark somewhere, every activity we part take in is leaving behind us some sort of print. Take an ordinary conversation, let’s look at a simple hello to a neighbour. Do you realize that when recalling where you lived, many years from now, you’ll remember some of your neighbours, you’ll remember saying hello to a particular neighbour and their response. Let’s say the neighbour has two teenage children. There is the Mother who says hello to you, when she is alone, and the rest of the family do not. You will remember this family when recalling living next door to them. They have made your history and you have made theirs. Their history will read differently from yours, it will have with it, the reason why they don’t say hello to you. The mother will note, to herself, why she doesn’t acknowledge you when her children or husband are present. Wired, I know, but as I said we are all making history. Consider another scenario, you are told that a young girl is pregnant, she is no longer with the baby’s father, plus she is unemployed. What you say next can leave a nice or nasty history over the young girls’ head, not to mention the unborn child. What do you say? And does it matter, after all the young girl is not the one you are talking to, so she will not hear what you say! My thoughts are:- She has made the decision to have a baby, which is a blessing to her family and who knows, the child may come along and cure world hunger or a prolific disease. Those words will go down in the history of the person who spoke them and the listener. Should the listener repeat those words to the mother of the unborn baby. Those words become a part of the baby’s history. How so? Well when the conversation is recalled , many years from now, maybe to the child, it has become history. Be careful what you say.......But we covered that in Tongue what damage have you caused. What history are you making now? Do you work? Have you got children? Are you planning a career? How’s that going for you? 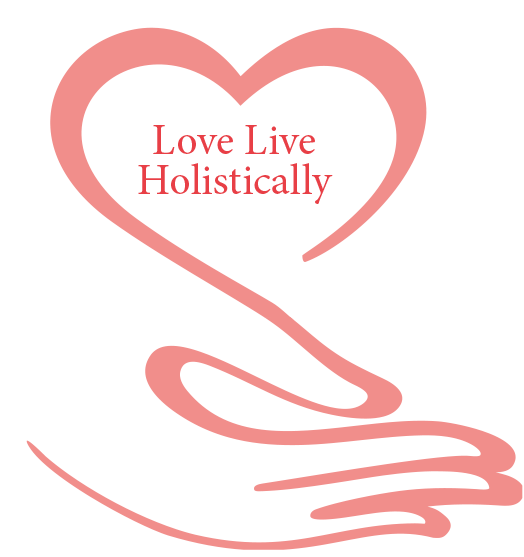 Blog@loveliveholistically.com Look at your work history, mine had me following a career, yes it paid some bills, kept many different roofs over my children’s head and gave me work experience. I found that the history I was making was causing my children to recall days when I was at work, they can tell you that on some of their birthdays I was at work. They can tell you that when this thing happened I was at work or when that thing happened I was at work. They can tell you that they came to my work place one year with a rose, because I was working on Mother’s Day ,they alsocame to give me hugs and kisses, as I was at work on my birthday. The history I was making is one of, on Christmas day I would either leave for work during Christmas afternoon or I would work on Christmas eve. I agree that not all my Christmases was spent at work, but most of them was. My children will tell you that I spent my New Years Eves at work. 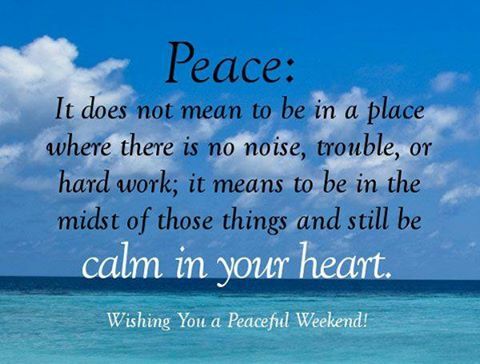 I have no big house or a bank full of money, to show for all that ‘being at work’ Following my education and career aims, found me away from my children. My rendition of being at work was fought with depressing stories of either the patients I cared for or the loving work mates cunningly disgusted as complete xxxholes (maybe I was the problem) we will re address that issue in another blog. What history was I making? Thank God I saw the light and now give my children something else to add to my history. I now work from home, I have the ability to wake up when I want to, go to sleep when I am tired and indulge in what makes me happy. Which is writing and mentoring others to live the life of their dreams. I changed my life and so changed what will be spoken of me, or my history. My children can now say that ‘my mum worked hard, she missed some of our special occasions and alot of her own, but she became a doctor and was able to do what she loved’ OK, they may not say it like that, but I would like to believe that they can see that I did the best I could, and had a determined spirit to do what I loved. What will your friends and family say about your work history? Will they mention the goal you was working towards or will they realise that you went to a place you disliked, and went there five or six times a week, because you had no choice. A place that you only had complaints to recall. A Place that took time away from them, a place that you had to go to because it paid the rent, fed and clothed them. Remember we have to be careful what we say. Can you imagine your child thinking poor mum or dad, they hate their job, but they have to go there, because if they don’t we won’t keep our home, eat or have clothes to wear. You would be surprised what children blame themselves for! Be careful, better still do what makes you happy. Finding and following your passion may be hard work, but you’ll enjoy doing it. 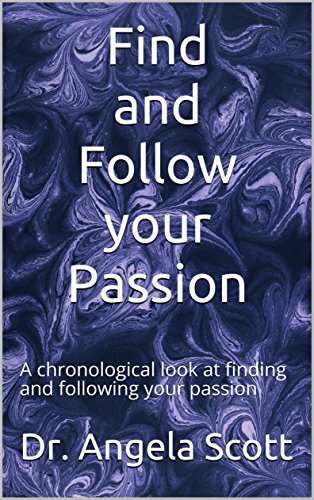 Get my FREE e-book ‘Find and Follow Your Passion’ to show you how. Needless to say, your children, friends or other family members will see a change in you. Once you begin to leave a brighter history behind you. Think of a sportsman or woman. It’s tennis session right now, as I am not the daughter of a tennis star I can not be sure, but I can image their children noting that mum or dad working really hard at their sport, getting up early to practice, eating a controlled diet, training in all types of weather and competing in grand arenas like Wimbledon, why? Because they love what they do. I can only assume that there is no talk of ‘I’m doing this because I have to feed or cloth you’ There must be some passion for the sport. The point I am trying to make is that hard work may be what our children recall when reminiscing over our history, but make sure they add the bit about you loving what you do. What history are you making? 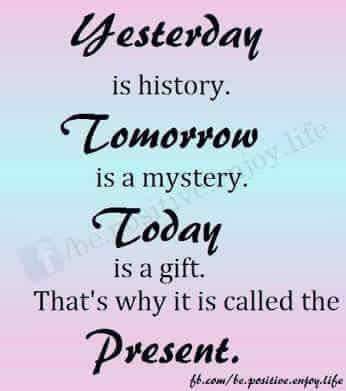 Blog@loveliveholistically.com Decide today to make your history read the way you would like it to be told. Be responsible for your actions, ensure that you are not living a reactive life. Remember you have a choice in every given situation. It is not a person or situation that made you change the history you was making it is your actions that make your history. You are suppose to be in the drivers seat of your life. I have moved several times because I got evicted. Now was it the eviction driving my car or me? I was the driver steering right towards eviction. This is how I did it. I would leave a job and hope something would come along , when something didn’t come along quick enough, I drove pass Short of money lane and landed in Eviction Road. The history I have left behind is ‘she got evicted from so many houses’ I am hoping whoever speaks my history will add, ‘but she did very well after leaving that house’. Don’t run from your past, it’s already written, it will be spoken, just hope people will attach the good bits to it. We all have a history, from where our for Fathers and Mothers hail from to the country we live in. The town we live has a history, right down to the Road, Street, Avenue, Close or Crescent we live in. The history we make is evolving or being written on somebody’s mind, as we speak. I have put parts of my history in print. 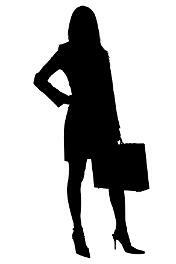 Check out ‘What do you do for a living’. Every conversation is playing a part in the history we are making today. From a simple hello to what we say about an unborn child. Caution has to be taken in what we say and do. Ones working history can be found on a Curriculum Vitae (CV) or resume but it is what is said or recalled about ones’ working life by friends and family that will get handed down to the next generation. Imagine hearing your child say that mum or dad hate going to work, but they have to. Be-careful what you say in ear shot of your children, they make sense of what they hear and see, using their limited comprehension. Working hard, spending hours making a living from what you love to do, will give off a pleasant vibe about your working life. Life is yours for the changing, you are in the drivers seat of your life, mark it how you will, always remembering that someone , somewhere will recall your history. We can not know what our friends and family are going to say about us, but we can make sure that they have something good to add to their rendition.